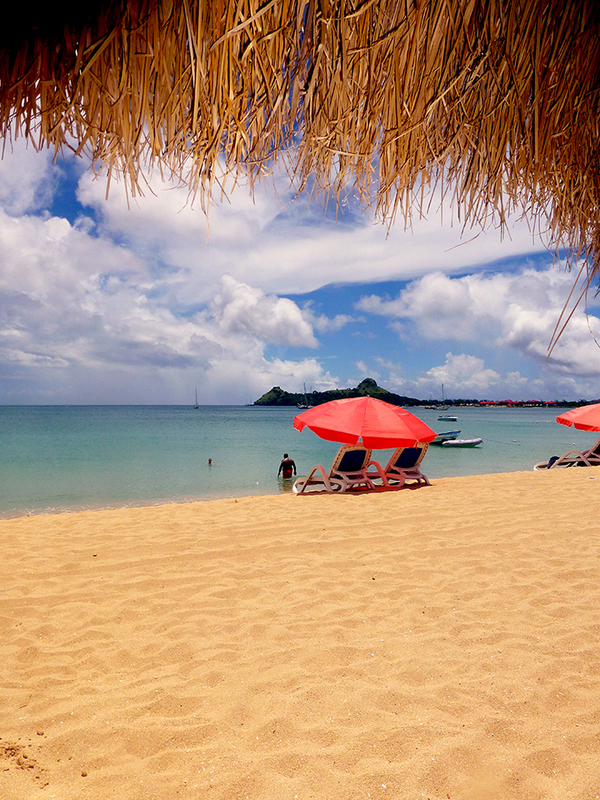 Our mission is to get everyone, locals and visitors alike, exploring Saint Lucia’s fascinating places, culture and communities. We’re creating an inspiring, easy to use, on-line resource, connecting people to authentic local experiences. effective promotion should be easy and affordable for businesses. engaging content that sells your business well! We commit to keeping our full feature rates VERY affordable AND they stay up permanently – no renewal fees!!! 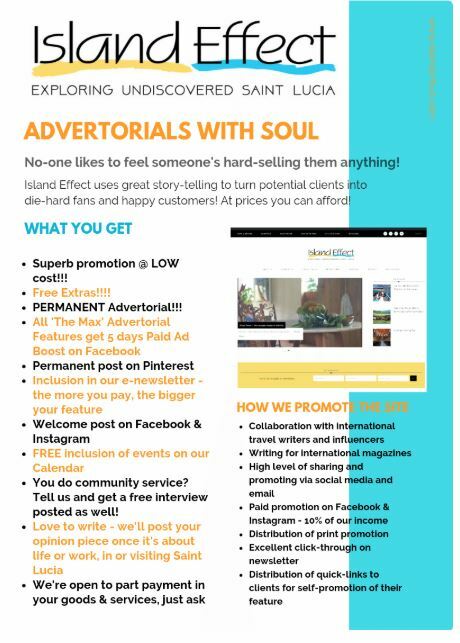 Your BASIC listing on Island Effect is FREE!!! This will include your business name; contact details a logo or image and a sentence about what you do. To secure your Basic listing, just fill in the short questionnaire HERE and you can be up and running on Island Effect in no time! Island Effect’s Full Features are where you get the best value. Make customers want to come to YOU! Read on for how! we’ll write up a fabulous advertorial on your business. Your advertorial will include great photos or videos. We’ll use our innovative tech to precisely locate you to within 3 meters – that’s many times more accurate than Google Maps. You can choose to pinpoint your ticket office, reception or a specific room for a specific event, or if you are on a road that’s not named on Google Maps, you can now be found with accuracy! If this sounds good to you, we have 3 options to suit your budget! You can’t beat this value! Feature –up to 200 words. Total of 2 – 3 photos titled and tagged for search optimization. All your basic info including links to your own website, social media and your exact location. Price: EC$120 and the ‘Free Pass’ for whatever you think we should try – this is your chance to show off, so make it as good as you can – inspire us to write wonderful things about you! Price: EC$270 plus the ‘Free Pass’ for whatever you think we should try –this is your chance to show off, so make it as good as you can – inspire us to write wonderful things about you! Feature – up to 950 words. 9-11 photos titled and tagged for search optimization. All your basic info including links to your own website, social media and your exact location . Each business is individual, so we can tailor what we offer to suit your needs. We know your business will grow so we are ready to help you at every turn! Updates are easy! Our blog-based format makes it easy for us to make changes to your feature or to add additional posts on your business, making it super-easy to promote your new attractions, awards you’ve won, special offers or anything you want to celebrate and share. We’ll be in touch 6 months after your listing is up, to see if you’d like to add or change anything. And make use of our Events Calendar – currently we list you events FOR FREE! You can also buy advertising – we will have limited advertising spaces that rotate through ads to offer high visibility – enquire about our rates. Click below to secure your promotion!